This report by Henning Tamm examines the precipitous decline in armed violence in Ituri, a district that manifests all of the Congo's main challenges to stabilization. The report focuses on the Front des nationalistes intégrationnistes (FNI, Front of Integrationist Nationalists) and the Force de résistance patriotique en Ituri (FRPI, Ituri Patriotic Resistance Force), formally established in late 2002. 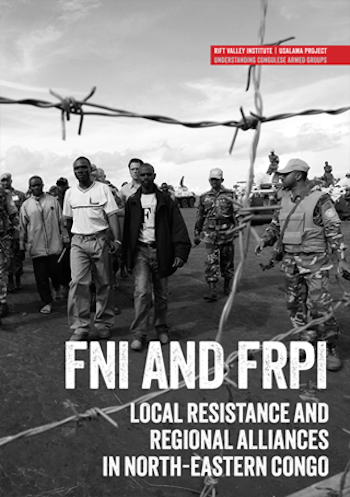 While the FNI largely transformed itself into a political party in 2005, the FRPI continues to resist army integration to this day.